Your club is ready to open, you've written your employment policies, applicants are applying, but wait, what about wages and hours? 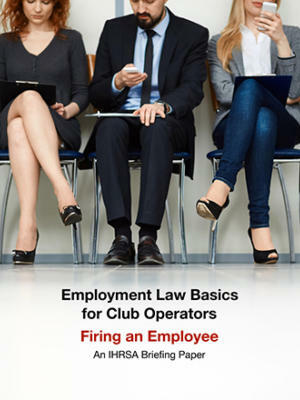 Do you know how minimum wage affects your club? There are 22 states plus Washington, DC that have a minimum wage higher than the federal minimum wage, and employers covered by the Fair Labor Standards Act (as all U.S. health clubs are) must pay the higher of the two minimum wages. Do you have to offer healthcare benefits to your employees? That depends on the size of your club. Speaking of benefits, are there other benefits and/or leave that you need to offer your employees? This answer also depends on other factors. These are the kinds of questions this briefing paper answers. Some of these questions are answered on the state level, some on the national level. In some situations, state law can actually supersede federal law. That’s why it’s so important that as a club operator you’re aware of your legal responsibility. 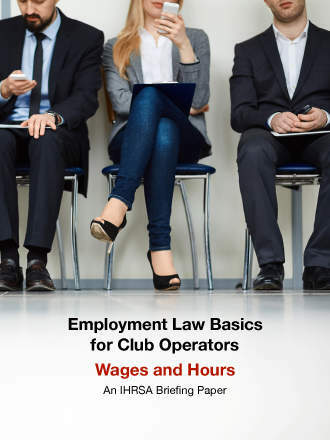 Now, before you download this briefing paper, it’s important to note that this document provides you with information applicable to all club operators who want to know the basics of employment laws concerning employee wages and hours. However, it should not be considered legal advice.